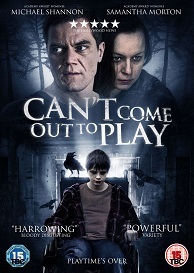 John McNaughton directs this horror thriller starring Samantha Morton and Michael Shannon. After the death of her parents Maryann (Natasha Calis) moves in with her grandparents. In her new neighbourhood, she befriends Andy (Charlie Tahan), the boy next door, whose parents keep him confined to their house due to his serious illness. As the young pair grow ever closer, Charlie's mother (Morton) becomes increasingly concerned for her sick boy and obsessive in her quest to shelter him from harm. Released on DVD June 22, 2015.